Gotham City needs Batman and Robin! Quick, to the Bat-Poles! DST’s colorful line of resin busts based on the Batman Classic TV Series continues with the first-ever bust of Adam West as Bruce Wayne, a.k.a. Batman! 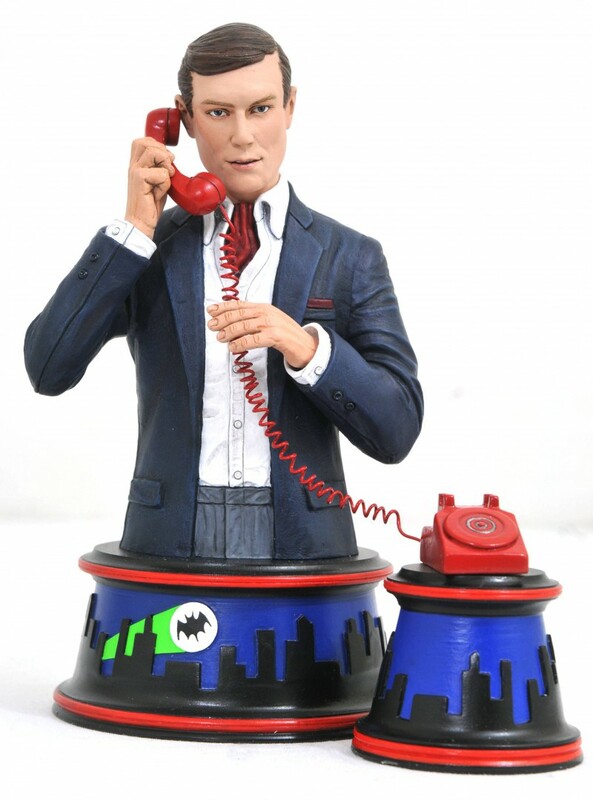 In his civilian guise, this 6-inch bust of the Gotham City philanthropist is posed atop a pedestal base inspired by the show’s animated opening sequence, and comes with the Bat-phone, which sits on a tiny pedestal of its own! Limited to only 1,966 pieces, this hand-numbered resin bust comes with a certificate of authenticity in a hand-numbered, full-color box. Designed by Barry Bradfield! Hand-sculpted by Jean St. Jean!